I have become used to receiving emails from people around the world who want to send me a share of money that they have obtained in various shady ways, if only I will help them. I have gotten such messages, usually in broken English supposedly coming from Burkina Faso, Libya, and Portugal. Who knows where they have really been sent from? I have also been informed that there is an agent with a package waiting for me at an international airport. Now I have received such a message written in German. Ich bin Herr Kofi Bentum, der Leiter der Revisionsabteilung in meiner Bank hier in Ghana, Wir hatten einen auslдndischen Kunden, der eine Gold-Hдndler ist und er hinterlegt eine groЯe Summe Geld in der Bank, schlieЯlich starb bei einem Autounfall ohne nдchsten kin, mцchte ich Sie auf meiner Bank als die nдchsten Angehцrigen einzufьhren, so dass dieses Geld auf Ihr Bankkonto ьberwiesen, dann teilen wir das Geld je 50% 50% werden. Wenn Sie sich bitte mir zu helfen, dieses Geld kontaktieren Sie mich unter meiner E-Mail sind: (kofibentum2014@yahoo.co.jp) fьr weitere Informationen. I happen to know a little German, at least enough to understand the general meaning of the message but I ran it through Google Translate to learn the details. Attn: PleaseI am Mr. Kofi Bentum, the head of the audit department in my bank here in Ghana, we had a auslдndischen customer who is a Gold Hдndler and he deposited a groЯe sum of money in the bank, schlieЯlich died in a car accident without nдchsten kin, mцchte I will einzufьhren on my bench as the nдchsten Angehцrigen, so that this money ьberwiesen to your bank account, then we share the money 50% 50%. If you please to help me this money are contact me at my e-mail: (kofibentum2014@yahoo.co.jp) closed for more information. The untranslated words were those which have umlauts or that double s, ß that is sometimes used in German. Mr. Kofi Bentum apparently did not use a German keyboard and the ß and the vowels with umlauts look like Cyrillic letters. I am not sure if the mistakes or oddities in wording are the result of Google Translate or Mr. Bentum’s unfamiliarity with German. Perhaps I can improve the translation by using a German dictionary. I am Mr. Kofi Bentum, the head of the audit department of my bank here in Ghana. We had a foreign customer who was a gold dealer and he deposited a large sum of money in the bank, then died in a car accident without next of kin. I would like you to withdraw it from my bank as the next of kin, so that this money is transferred to your bank account, then we share the money 50-50. If you would like to help me get this money, please contact me at my email… for more information. Maybe I should travel to Nigeria or Ghana and get work polishing up the emails they send out. Maybe not. Some recent events in Africa, the death sentence for a young woman from Sudan for being a Christian, and Boko Haram‘s kidnapping of more than two hundred schoolgirls has elicited condemnations from people around the world, including some in the West who believe that any criticism of Islam counts as islamophobia. I suppose that would be too much to hope that these people will finally make the connection and realize that we, the civilized world, really do have a problem with Islam. No doubt they will mouth the usual platitudes about Islam being a religion of peace and explain that these detestable deeds are the actions of ‘extremists’ such that are found in any religion. Well, people of virtually every religion have committed atrocious deed in the name of their gods, yet somehow these days, this seems to happen far more often among the practitioners of one particular religion, Islam. The question that needs to be answered is whether violence , terrorism and intolerance are bugs, problems with misunderstanding the teachings of religion, or features, understanding the teachings of the religion all too well. Before going any further, I would like to deal with a particular idea that I have seen in various places, the idea that Islam is where Christianity was several centuries ago. This notion has more to do with vague ideas about moral progress than with any serious study of the comparative histories of the two faiths. The idea seems to be that there is a definite direction to history in continuing moral improvement. This seems true enough. We no longer have slavery or burn witches. Still, I am not convinced that there has been any real change in human nature. We do not have slaves because we have machines. If our machines were to fail us, slavery, or some form of unfree labor would make a swift comeback. The history of the doctrines of every religions alternate between periods of comparative laxity and rigor. 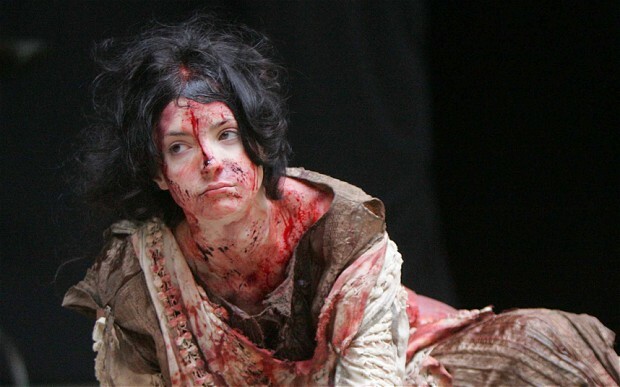 The more rigorous periods do not necessarily coincide with violence and intolerance. It is difficult to imagine a religious revival among the Jains or the Quakers producing suicide bombers. The idea that Islam is somehow behind Christianity and less morally developed is condescending and doesn’t really explain why Islamic rigor is more associated with violence than Buddhist or Christian rigor. 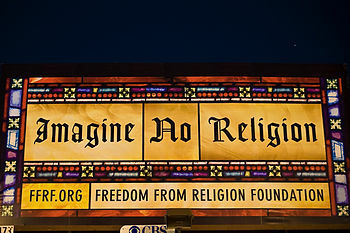 This idea also ignores the very real differences in the teachings of the two faiths. Jesus said that those who live by the sword will die by the sword. Mohammed agreed and added that dying by the sword in the cause of Allah was the greatest fate any man could hope for. Jesus said, “My kingdom is not of this world”. Mohammed was a political and military leader as well as a prophet. A Christian who commits an act of terror is acting against the teachings of his Savior. A Muslim who commits an act of terrorism is following the instructions of his prophet. I don’t recommend that you take my word for this. Consider that Sudanese woman. She has been sentenced to death for apostasy, leaving Islam. 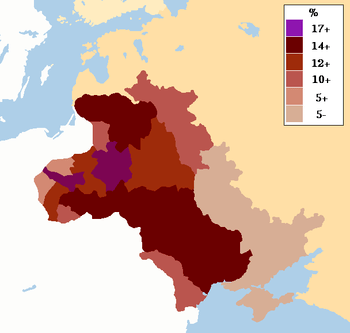 Almost everyone in the West finds any punishment at all for apostasy to be an infringement of religious liberty. In the Middle East, the death penalty for apostasy enjoys wide support. Here is a defense of the death penalty for apostasy from what seems to be a fairly reasonably religious authority. Read the Koran. It is full of incitements to violence, especially Sura 9. Consider these stories about Mohammed and his companions. There are man, many more. These stories are from the hadiths, anecdotes about Mohammed’s sayings and deeds. These stories were transmitted orally for over a hundred years before Muslim scholars began to write them down. There is no way to know if any one of these anecdotes is a true account, if the story has become corrupt after numerous retellings, or if it has simply been fabricated. The scholars who collected these hadiths were aware of this problem and rejected many that they believed to be spurious. Even the ones that they collected were felt to have varying degrees of reliability. It doesn’t matter, though. The important point here is that these were actions that the first generations of Muslims believed to be worthy of approval and imitation. Violence in the name of Islam was something approved of and even part of the attraction of the faith. Read that first story again. Huwayyisa was so impressed by the willingness of his brother to kill a family friend that he immediately converted. (Either that or he was afraid his brother would kill him if he didn’t convert.) To the early Muslims, fighting was a way to get plunder in this life and paradise in the hereafter. Mohammed approved of violence and since he is considered to be the ideal for every Muslim to emulate, his followers ought also to approve of violence. To answer the question then, violence and intolerance are features of Islam, not bugs. There are times when I start to feel optimistic about the future of the human race. I start to think that we will be wise and knowledgeable enough to solve all of our problems and expand out into the furthest reaches of the universe. Then, I read a story like this from Fox News. A South Carolina man died Wednesday morning after police say he asked one of his friends to fire a gun into a bulletproof vest he was wearing, Fox Carolina reported. The bullet reportedly missed the Kevlar vest and hit Blake Wardell, 26, in the chest. Friends performed CPR, but Wardell bled to death in the garage, the report said. The death was classified a homicide. The bulletproof vest was about 10 years old and the weapon was called a small-caliber gun, The State reported. Taylor Ann Kelly, 18, was reportedly charged with involuntary manslaughter in connection with the shooting and can face five years in prison. Deputies said in the arrest warrant they believe that the victim asked Kelly to shoot him. If I happened to be in possession of a Kevlar vest and I wanted to test it, I would hope that I might be to figure out a safer means of testing it, maybe by putting on a dummy I don’t know much about bulletproof vests, but a quick glance at Wikipedia tells me that they are not necessarily completely bullet proof against all calibers and at any range. It is actually possible to be harmed by gunfire even while wearing a vest if the bullet is massive enough, at close enough range, or has a large enough velocity. And there is always the possibility that the bullet will hit an unprotected part of the body, as happened in this unfortunate case. I would also hope that if someone ever told me to shoot him to test a bullet proof vest, I would have enough sense to just say no. I don’t think that Miss Kelly deserves to go to prison, since she evidently had no intention of murdering Mr. Wardell, but this incident does show lack of judgement on her part. Perhaps probation will be sufficient. Since Out of the Silent Planet, the first book of C.S. Lewis’s Space Trilogy, told the story of Elwin Ransom’s journey to Malacandra, the planet we call Mars, it is fitting that the second book, Perelandra, is the story of Ransom’s voyage to the planet Perelandra, which we name Venus. The two trips could not be more unlike, however. Instead of being kidnapped and taken into space, this time Ransom is given a mission by the Oyarsa, the angelic ruler of Malacandra. He is taken to Perelandra by the eldili in a coffin made of ice. When Ransom arrives, he discovers (in accordance with the science fiction tropes of the time) that while Malacandra is an older and dying world, Perelandra is a younger planet with a worldwide ocean. In fact, the first two people, the Perelandran Adam and Eve, had just been created. Ransom soon meets the Perelandran Eve, a green-skinned humanoid that he calls the Queen. She has been separated from her husband, the King. The King and Queen are unfallen and live in Paradise, like Adam and Eve, and like Adam and Eve, they have been given a commandment. In their case, they have been forbidden to leave the reed mat islands, which are their home and live on the only solid land on Perelandra. Ransom is soon joined by his old enemy Professor Weston who comes to Perelandra in a spaceship similar to the one he used to take Ransom to Malacandra. Weston is not the same man Ransom knew on Earth and Malacandra. After speaking to him, Ransom realizes that Weston has been possessed by a devil, or perhaps even the Devil and he has come to tempt the Queen into disobeying the eldill and Maleldil, just as he had done with Earth’s Adam and Eve. Ransom calls this creature the Unman Ransom’s mission, then, is to prevent the Queen from falling. If he cannot persuade her, he must engage the Unman in physical combat, even at the expense of his own life. Perelandra is more spiritually or supernaturally oriented than Out of the Silent Planet, and Lewis presents more of his theology in it, especially his thoughts on the nature of evil. Lewis does not make the mistake, as some writers do, of portraying evil as exciting or interesting or intelligent. In Out of the Silent Planet, evil is described as “bent”, some quality or thing not acting or being used according to its proper function or role. In Perelandra, as well as some of his other writings, evil is shown to be a lessening of a person or thing. The person who turns to evil becomes less of an individual. Weston as the Unman is less than he was as the scientist who discovered how to travel through space. The Unman is clever and charming while he is tempting the Queen, but when off duty, so to speak, he lapses into imbecility and childish taunting of Ransom. Towards the end of their struggle, Weston seems to temporarily regain control of himself and tells Ransom of his experience dying and coming back to life. Ransom is never sure whether Weston actually was speaking or the demon was trying to trick him. In the end, Ransom decides that it simply doesn’t make any difference. When Weston and the demon turned to evil, they began to lose the qualities that made them individuals. Eventually all that is evil becomes indistinguishable. Lewis will also have nothing to do with the idea of a fortunate fall, the idea that Adam and Eve were ignorant of evil in their innocence and that at least they gained knowledge. The Unman does tempt the Queen with the knowledge of good and evil, yet she and the King gain more knowledge of good and evil by rejecting temptation than by falling. The King and Queen inform Ransom, at the end of the book, that the people of Thulcandra, our Earth, are more ignorant of evil than they are, because of the Fall and our own evil deeds. 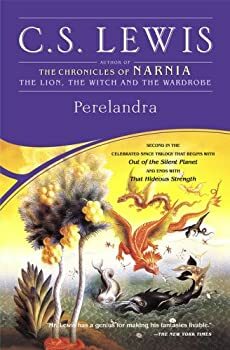 Perelandra is, if anything, even more entertaining than Out of the Silent Planet and is a worthy sequel to that book, although like all of C. S. Lewis’s fiction, it is as much a work of apologetics as story, and Perelandra is, as I have said more theologically oriented than that earlier work. The reader who does not agree with Lewis’s religious beliefs may like Perelandra less well, but I can recommend it. I got this email from Moveon.org. 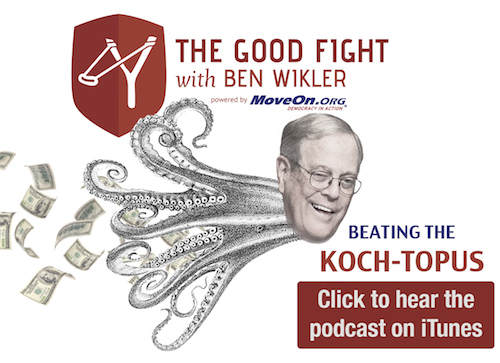 If you’re concerned about the power of the Koch brothers, you’ve got to hear this new podcast. As you might expect from a couple of documentary producers who helped Michael Moore make Fahrenheit 9/11, the directors ofCitizen Koch didn’t take this lying down. The story of how it all happened, and what happened next, will inspire you. Actually, I am more concerned about the targeting of private citizens as public enemies by an entire political party and by senior officials on government. I am not such that the presence of a couple of the producers who helped make Fahrenheit 9/11 is much of a recommendation considering the number of inaccuracies and outright lies found in that “documentary”. If Citizen Koch is similarly mendacious and libelous, then there is no great mystery why PBS would not care to broadcast it. Carl Deal: We Refuse to Be Silenced (huffingtonpost.com) I wonder if they would fight for the right of a film maker to make a hostile documentary about Obama.